It is important to understand the stages of chiropractic care because they are unique relative to those of other health-care disciplines. Because chiropractic addresses core physiological and bio mechanical aspects of the body, the process to correct problems without drugs or surgery can take some time. Some conditions can be treated in a few visits, while others may take longer. The number of times you visit a chiropractor during this phase of care varies and is dependent upon your specific condition. It's hard to say how long it will be until you see relief— it could be as short as a week or up to a month. 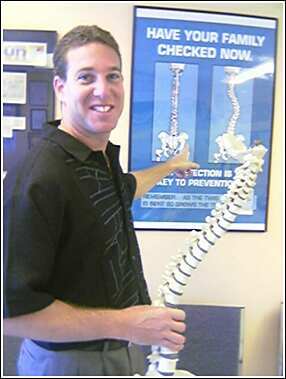 If you are not responding to chiropractic care during this phase, you may be referred to another health-care provider. It's hard to believe that, after all the time, effort, energy, and money put into correcting a problem, a patient would choose to forgo this relatively easy phase of care! As much as we'd love to see you in our office, we'd much rather assist you in maintaining your health rather than relieving your pain. You then "graduate" to the wellness phase, which is designed to maintain your improved health, encourage normal spinal function, prevent the return of the original condition, and catch small problems before they become serious. A personal wellness care program will be designed specifically for you where we teach you how to incorporate good nutrition and exercise habits into your everyday life, thereby promoting vitality, endurance, and the ability to enjoy life at its fullest.